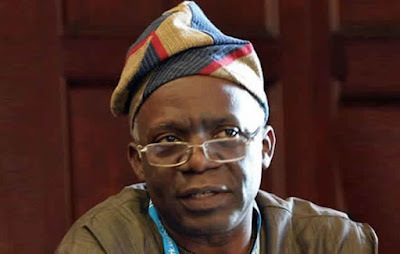 HUMAN rights lawyer, Mr. Femi Falana (SAN) has advised President Muhammadu Buhari to let the courts decide what constitutes threat to national security instead of allowing security agencies to disobey court judgments under the guise of safeguarding national security. Falana, who was a discussant at the 58th Annual General Conference of the Nigerian Bar Association in Abuja yesterday, said this while responding to a question posed by another senior advocate, Chief Mike Ozekhome. Ozekhome had questioned Buhari’s speech at the opening of the conference wherein the President suggested that human rights could be suspended with regards to national security. Ozekhome had also asked Falana if the Supreme Court ruling on Asari Dokubo vs. Federal Government gave the Buhari government the right to detain people indefinitely under the guise of national security. Speaking on the topic, ‘Rule of Law and Security,’ Falana said civil liberties could be put in abeyance with respect to national security. He, however, argued that only the courts should be made to determine what constitutes a national security threat. Falana added, “The point made by the President has long been captured in the Latin maxim, ‘Salus Populi Supremalex’ which means the law of the society will take precedence over individual liberty. Where we can depart from the President is the attempt by whoever wrote the speech to use the case of Dokubo Asari vs. the Federal Republic of Nigeria to justify disobedience to court orders. “In that case, Justice Tanko made the point that it is only when you have peace that you can talk of your individual liberty. But if the country is in pieces, you cannot talk of human rights and nobody can dispute that. Falana also agreed with Ozekhome that the Office of the Attorney General of the Federation must be separated from that of the Minister of Justice.